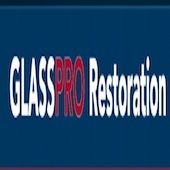 Vancouver glass repair experts Glasspro Restoration specialize in glass scratch repair, refinishing, and restoration. Glasspro fixes scratch damage, acid damage and graffiti damage. We refinish and restore damaged windows and glass surfaces using our own Diamond-Cut® technology. Our service is not limited to windows — we also restore doors, mirrors, shower enclosures, glass backsplashes, table tops and display cases, and elevator windows.